“I just want him to stop chasing the cat, not to jump on visitors and to not bark throughout the night, I don’t care if he is good at obedience or not”. Often clients come to us dog trainers as a last resort, desperately wanting their dogs to stop ‘misbehaving’. Of course our recommendations change from dog to dog, depending on the dog’s mental state, prior learning, cause of the behaviours, age, owner’s capabilities etc., but more often than not, our recommendations are multi-faceted. Obedience training is often a considerable component of our recommendations. 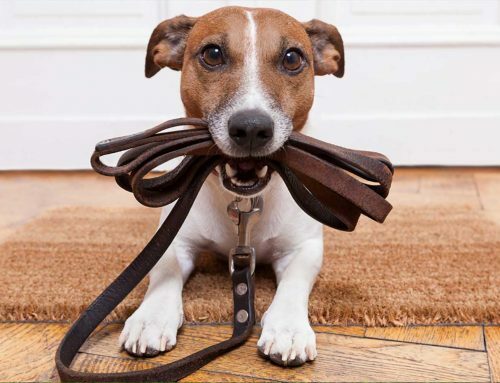 Owners are often perplexed as to why teaching a reliable down, leave-it or loose-lead walking will aid to address their specific behavioural concerns. What owners fail to understand initially, can lead to a lack of compliance with recommendations, therefore an inconsistency in training and a limited result for the dog. If you are reading this with the hope of obtaining permission to not train your dog, you will be disappointed! The aim of this article is to emphasis the role of obedience training and its impact on addressing behavioural issues. Obedience training teaches your dog how to learn. I know that sounds odd, but hear me out. Teaching your dog specific exercises teaches them that their behaviour has consequences. To put it simply, they learn that if they complete the behaviours as commanded they are rewarded, and if not they are punished. Again, this is a very simple way of putting this but I think it makes the concept clear. Once dogs are what we call operant, active, or receptive to learning, they then begin to understand that their behaviour has consequences, outside the context of obedience training. This is useful in the context of behavioural issues, as they can more effectively be taught that inappropriate behaviour has unpleasant consequences, so learn to avoid these consequences but not performing the inappropriate behaviour. On the contrary, they learn that obeying commands leads to pleasant consequences, and therefore strive to obtain these. Additionally, ‘markers’ can be added to clarify to the dog what exact behaviour leads to which particular consequences. I’m sure most of you hear us trainers saying “yes” and “ah” when training. Here we are marking “yes” to indicate to the dog that that exact behaviour is correct and they will lead to a pleasant consequence such as a reward. Visa versa, “ah” indicates that that exact behaviour is not wanted and will lead to an unpleasant consequence such as a correction. Using markers in a behavioural context ensures that the dog clearly understands that their behaviour lead to the consequence they received, rather than developing superstitious associations with aspects of their environment. Developing this simple communication system between yourself and your dog in an obedience training context, can then be transferred to addressing behavioural issues with great clarity. Secondly obedience training teaches your dog to have what we trainers call impulse-control, or in other words, self-control to think before they act. The dog learns that even though that child walking past with an ice cream is really appealing, he must restrain himself and not knock them over and eat the ice-cream. This concept inter-relates with them understanding that their behaviour leads to pleasant or unpleasant consequences. Exercises such as reliable positions, loose-lead walking, recall and leave-it all use elements of impulse control, therefore teaching your dog to moderate their impulsive urges. Again, developing this skill in an obedience context makes it quite clear to the dog and it can therefore be applied with greater success in a behavioural context. This leads me to discuss obedience training and incompatible behaviours. Teaching basic, but reliable behaviours means that these can be used as incompatible behaviours to inappropriate behaviours. Clients are often apprehensive about this concept as they would like the dog to know that certain behaviours aren’t allowed, rather than avoiding them occurring by giving alternate commands, and this a very valid point. However, I like to look at incompatible behaviours as first teaching the dog what is expected of them. If the dog then chooses not to follow through with what they know to do, then of course this leads to an unpleasant consequence. For instance, again the child with the ice cream walks past. I have taught my dog to reliably walk on a loose-lead on command. I see the girl approaching and reiterate my loose-lead walking command ‘close’. In this instance, the child is not within reach and I have told the dog to stay close to my left side. In order to knock the girl and eat the ice-cream, my dog would have to break the command, which he already knows leads to an unpleasant consequence, as this was previously taught in an obedience training context. Additionally, he knows that if he does choose to remain in position, he will receive a very enjoyable consequence. Teaching reliable, basic obedience teaches your dog what is expected of them. This point closely relates to the context of coping skills. Put a dog in a stressful environment and often they don’t know what to do with themselves. Depending on genetics, prior learning and early socialisation/habituation, every dog will have a different response; some take it with a grain of salt but others will become increasingly stressed, anxious or reactive. In this context, if we can give the dog something that they’re familiar and confident doing, it can build their confidence and allow them to be more comfortable in that particular context. For instance, a dog goes to the groomers for the first time and is overwhelmed by all the unusual and unfamiliar stimuli such as the crates, dryers, new people, scissors, hydro-bath and tables. The dog is given well learned obedience commands such as his loose-lead walking command, and he knows to walk beside the handler into the grooming salon, he is given a place command to go into the hydro bath, then a stand command to be groomed. 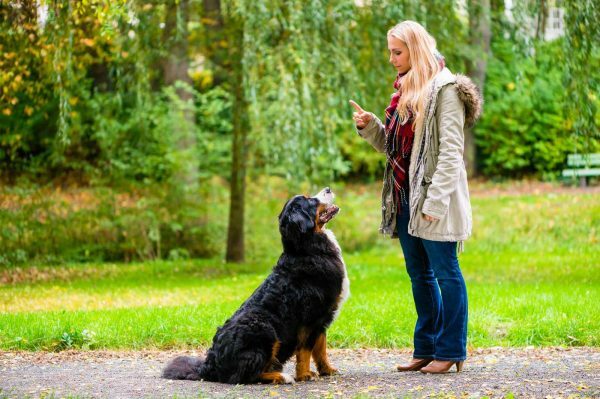 Using reliable obedience commands with predictable consequences can give the dog something familiar and reassuring to fall back on in potentially stressful situations. 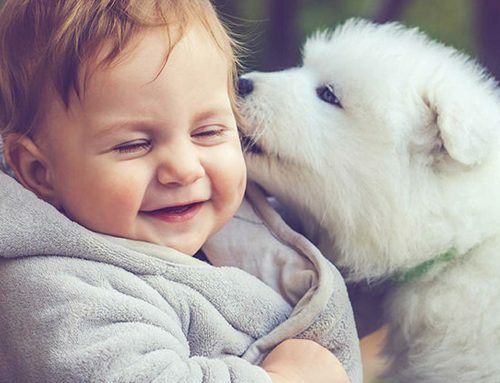 One of the huge benefits of obedience training (and often under-valued), is that it greatly improves the relationship between the owner and the dog. For the first time since ‘Fluffy’ was adopted from the shelter at 2 years old, the owner and the dog understand each other and are not in a constant state of conflict. Not only this, but it improves the dogs quality of life because he can now be included in the activities of every-day life, rather than never leaving the back yard. He can come to a friend’s house for a BBQ and can come on holidays to the beach house as he follows reliable obedience commands, can cope in new environments and has a greater relationship with his owner. 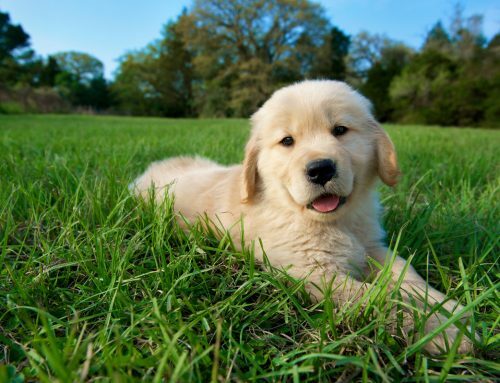 Obedience training enables the dog to experience a greater sense of freedom and partnership. When given advice from a trainer please follow through with each aspect. If you are unsure as to why, ask for clarification. A behavioural modification plan is most successful when a multi-faceted approach is followed through with. If you pick and choose which pieces you like, the puzzle will never be complete. Client’s often question the value and relevance of developing reliable obedience when it should be the priority. 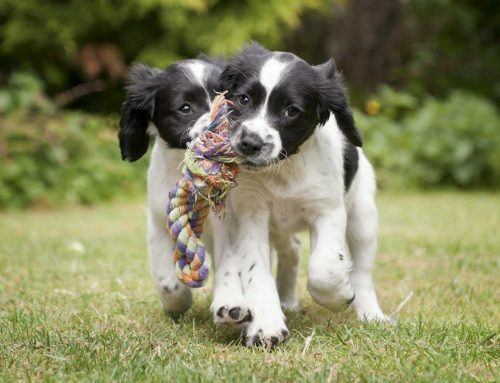 I love working with puppies – it is very fulfilling helping a family with their new puppy and working with them to reach their training goals as their puppy grows and develops. I get a lot of enjoyment working with dogs to meet their full potential as well as their instinctive drives.